Honestly? We don’t really know. There are a lot of theories out there. Maybe sleep helps the brain consolidate the memories made from the previous day. Maybe sleep provides rest to the weary muscles we’ve used all day long. Maybe sleep helps to rejuvenate our bodies after a long productive day. Whatever the reason, we need it every day. Why Do We Need Good Sleep? The benefits of good sleep are clear. Good sleep results in less daytime sleepiness, higher productivity at work and at home, reduced stress levels, and better overall health. The textbooks say that 8.2 hours per day is what is needed. This doesn’t necessarily apply to everyone though. Some people can do quite well after only an average of 4 hours of sleep per day. Others seem to need 10 hours. Young children need up to 14 hours. Shift workers only get about 5. In a poll of over 1 million adults, 20% admitted to sleeping 6.5 hours or less. To balance being a parent, a spouse, having a job, and a social life, adults frequently sacrifice their total sleep time. In fact, most adults are sleep deprived. Think about it. How many of us regularly get over 8 hours of sleep every day? These sleepy adults are frequently driving to work behind school buses filled with kids. They guzzle huge amounts of caffeine and other energy drinks. Sometimes they consume caffeine until late in the afternoon or evening so they experience caffeine withdrawal in the mornings. They may not be paying attention when their bosses or spouses are talking to them. They may struggle to stay awake after work so they can spend some quality time with their kids. They can’t “sleep in” on weekends because their normal body rhythms (or their kids) won’t allow it. What are the long term effects of poor sleep? How do you know if your sleep is a problem? 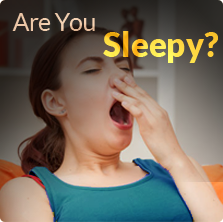 There are simple tests that can assess your sleepiness or your risk for certain sleep disorders, such as sleep apnea. Basically, if you are sleepy on most days, you snore loudly, or you have trouble functioning during the day, you could have a sleep disorder. 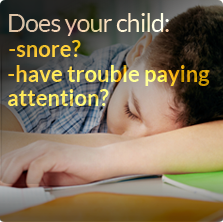 Make an appointment with Dr. Roy to discuss your sleep-related concerns!